The four chosen charities for this year’s Bishop’s Lent Appeal have been announced, with a call to the diocesan family to “do the little things”. Jeel al-Amal Orphanage, Bethany, commended by Fr Nigel Doyle. Launching his appeal, Archbishop John said: “Among the sayings attributed to David is an encouragement to ‘do the little things’. This was not an encouragement to grand gestures or the pursuit of grand designs, but rather it was an encouragement to recognise that the small details matter. “The Lent Appeal encourages us, as a diocesan family, to recognise that our individual small efforts, when combined with those of our brothers and sisters, matter enormously because they enable us to become collective Good News to the needy. “Whatever you may have contributed to past appeals may not, you might think, amount to much; but combined with the contributions of others, we have been able to give away to worthy causes over £100,000. Faith in Families needs no introduction. It is one of the most impressive ways in which the diocese has developed its outreach into disadvantaged families and communities in our area. 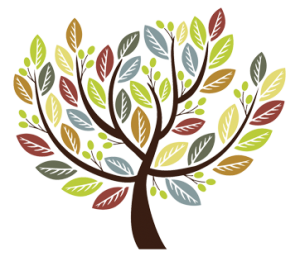 The Diocesan Board for Social Responsibility is involved in highlighting issues of social concern within the diocese, but, as Faith in Families, it is probably best known for running its projects on behalf of the diocese. The very existence of some of its work as well as the livelihoods of staff members have again been under real threat. Your support will be a real boost to the morale of staff and trustees who are fighting to preserve the wonderful community and family work which Faith in Families delivers to people within several disadvantaged communities and who are in both profoundly challenging circumstances and real need. 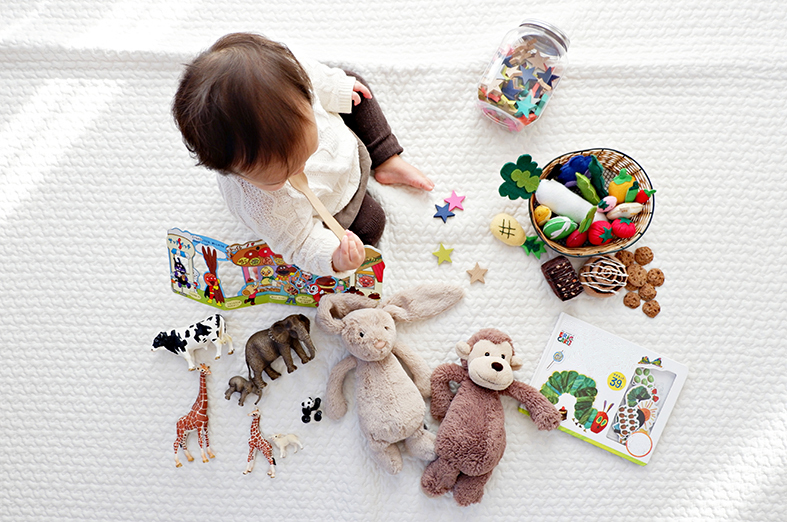 The family centres, outreach projects and affordable (in some cases free) childcare settings strive to be able to fully provide the much-needed children and family support facilities in one-stop centres, easily accessible within local communities. The St Teilo’s Cwtch community centre and church in the heart of Portmead is now a flagship example of what can be achieved. It provides a family centre, open to all ages, where a range of activities take place including parent and toddler sessions, high scope play group, healthy family lunch, after school club, holiday play scheme, adult courses, breakfast club and sessions for young people over 10 years of age, to learn new skills and develop friendships whilst having a great time together. Also, a community cafe with free Wi-Fi and social enterprises will be developed for adults of the area, led by the community, for the community. It’s a wonderful witness to the concern of the church for the people of the area, and a wonderful advert for the vision of the Faith in Families team. Jeel al-Amal Boys orphanage home and co-educational school is in the village of Bethany. 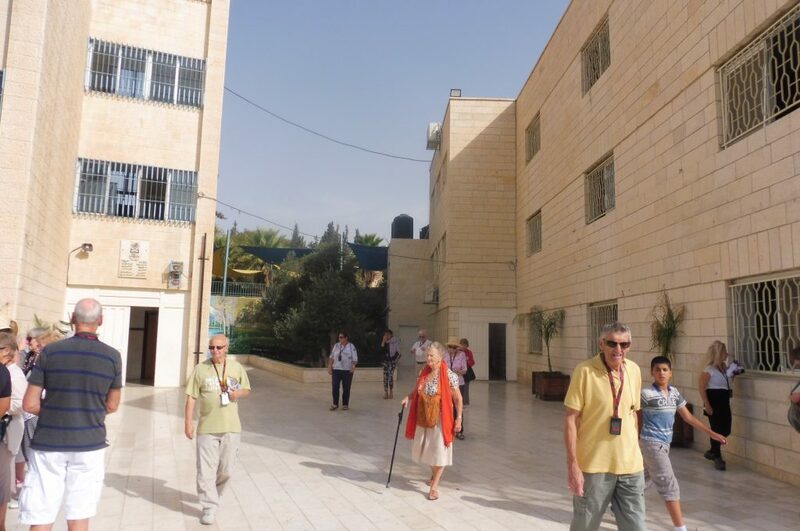 A visit was included in the programme for forty pilgrims from Swansea and Gower when they visited the Holy Land in October 2018. Pilgrims were moved and impressed by what they witnessed through the work of the centre. Jeel al-Amal has been in existence since 1972. It began in a house next to that of the founders, Alice and Basil Sahhar, that housed 10 boys. The numbers gradually increased, and the school was accredited by the Palestinian, Israeli and Jordanian authorities. Eventually they were able to purchase a building on the eastern side of Bethany and it is now run by Najwa (Alice and Basil’s daughter). The boys are from Bethsaida, Jerusalem, Ramallah, Bethlehem and all over the West Bank and are some of the most difficult cases in Palestine. Najwa tells us that no other organisation will take some of the boys who have behavioural difficulties. Some of them lived on the streets and some had been badly beaten by their family or others with whom they came into contact. Others were starving, having not eaten properly for some time. The current priority for the school is that they should be properly equipped to manage the boys who come into their care and present with the most difficulties. One of the best ways of helping with this will be being able to provide the right environment; giving them a homely atmosphere at the school’s living accommodation in order to help the boys to feel safe and secure. The home provides a home for around 72 Palestinian boys (Christian and Muslim) most of whom have deep mental scars by what they have witnessed and endured before being welcomed into the home. The staff try really hard not to turn any away but to find suitable places for them elsewhere if necessary. The school attached to Jeel al-Amal is unique in the area in that it takes children from age 5 to 12 and is for both boys and girls up to Grade 6. Girls are housed in a separate house in Bethany and looked after by nuns in a nearby Russian Orthodox orphanage. The Jeel al-Amal school at Bethany is doing some really good work under very difficult circumstances. But, Najwa tells us, unemployment is very high on both sides of the wall built by the Israelis and this means that the people who might be willing to give to support the project have no money to share. The monthly running costs are $30,000. This includes the salaries of the staff (35) $20,000 and other running costs $10,000 (e.g. electricity, water, solar for the heat in winter, some of the children’s expenses in the boarding section). The running costs of the home are not funded by any governmental authority despite the school being widely accredited. In some months Jeel al-Amal has been unable to pay the pharmacy bills and the electricity has nearly been cut off. 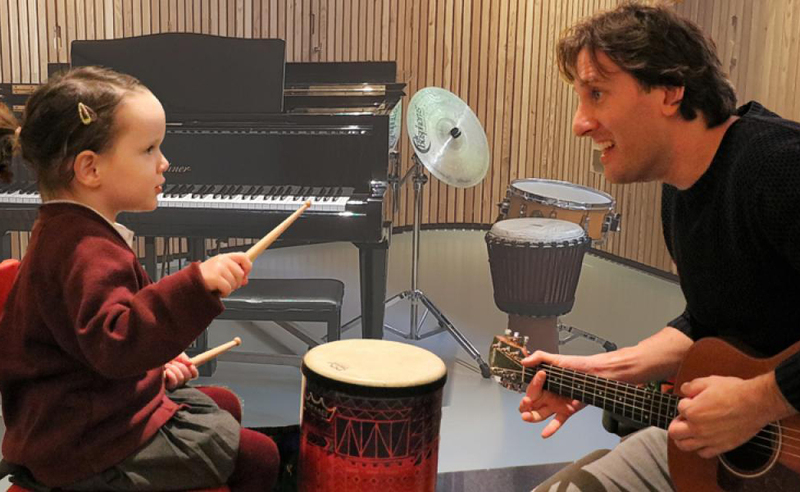 Nordoff Robbins is the UK’s leading independent music therapy charity, working across the country offering vital support through its dedicated open access centres and alongside over 150 partner organisations. Music therapy can help a child with autism to communicate, reduce anxiety for a person living with dementia or provide comfort for someone facing a terminal illness. In 2017 it reached more people in more places than ever before, delivering music therapy to 7,916 vulnerable and isolated people, with 29,725 music therapy sessions. Canon Alison Jones said: “In the Parish of Townhill, they have a music therapist who hires our church hall once a week and works with autistic children and stroke victims among others. United Society Partners in the Gospel was founded in 1701, and is the Anglican mission agency that partners churches and communities worldwide in God’s mission to enliven faith, strengthen relationships, unlock potential and champion justice. Rethinking Mission: We bring people together from different parts of the global church in mutually enriching conversation and profound encounters, to increase understanding and deepen our discipleship as inter-cultural Christians. Energising Church and community: We make connections between the dioceses and communities of the Churches of Britain and Ireland and those overseas and we seek ways in which faith and action can go hand-in-hand. We look to strengthen the unity and capacity of the Anglican church by promoting education and leadership and by learning from each other in rich exchange. 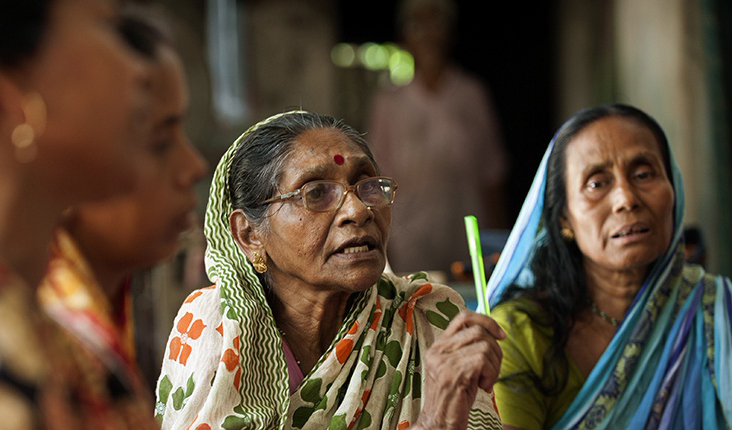 Championing Justice: We accompany churches of the Anglican Communion in their struggles against injustices associated with gender, climate change, migration, the human rights of indigenous people and inter-religious living. We support Christians across the world to form communities of hope and resistance and we strive to give a platform to the faithful among those with power in the secular world. “Many of you are now well experienced in devising either imaginative or traditional methods of raising money for the Appeal. Many of you also personally set something aside as a personal discipline as Lent progresses,” Archbishop John said. Because the Bishop’s Fund for Emergencies is itself a CAF (charitable) fund, it is not possible to Gift Aid money direct to it. However, donors may pay to their PCC’s through Gift Aid and parishes may pass on the money (with the recovered tax). Parochial or personal cheques for the Appeal should be made out to the ‘Bishop of Swansea & Brecon (Emergency)’ and should be sent to Ely Tower, Castle Square, Brecon, LD3 9DJ. Payments may be specifically directed to any of the charities. If not specified, payments will be divided equally between all four. Please try to ensure that payments are made by the middle of September. This was posted on 1 March 2019.